Parents or the primary caregiver of teens with reactive attachment disorder have typically suffered for years along with their child. For many, hope of change seems out of reach, unavailable, impossible. The disappointment of not being able to connect with their child is crushing. 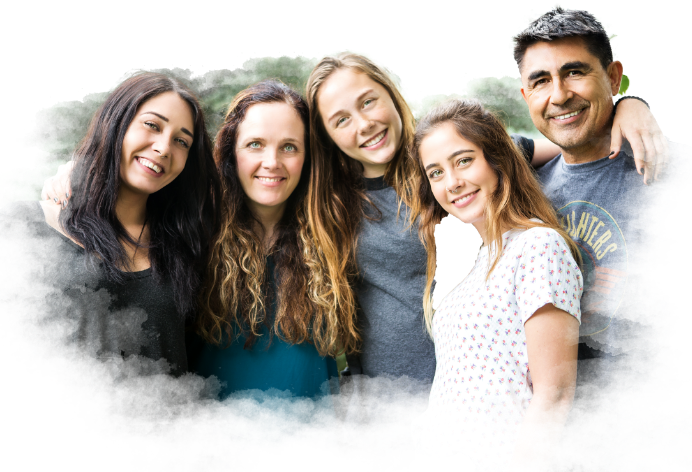 But with the right interventions and family support, a young person with moderate and even reactive attachment issues can experience significant healing and learn to better connect with others. Dealing with an attachment disorder as a parent requires enormous patience, perspective, and support. But armed with the right support, you can see progress with your child and increase both your own ability to cope and your child’s ability to forge and keep successful relationships. New Haven has worked with many families and adolescents struggling with attachment issues. We have seen firsthand that the right treatment approach can bring healing to these families. The following is a Q&A with one of our therapists on both the challenges and the possibilities facing those suffering from attachment disorder. Talk about the special difficulties adults experience either working with or parenting young people with attachment disorders. There are several things that make treating reactive attachment disorder (RAD) a challenge. One of them is that attachment disorders are often masked by other symptoms. Kids who have attachment disorders often act out sexually, through substance abuse, and/or by cutting themselves. It is easy to become focused on these behaviors and miss the underlying attachment issue. Another reason that working with attachment disorders is difficult is that kids with attachment disorders struggle fundamentally with connection and relationships. Effective therapy depends upon a positive relationship between the mental health professional and client, and sometimes these kids don’t know how to participate in that kind of relationship. Often they don’t trust adults; this mistrust, of course, creates an obstacle to working on their attachment issues. Once the child with an attachment disorder starts feeling close to another person, they often pull away or push the other person away. They have been hurt by relationships in the past and assume that all relationships will end, so they would rather be the one who ends the relationship than have it ended by the other person. This push and pull experience is very difficult for the person on the other end. Often the “recipient” of the pushing and pulling gets frustrated and reaffirms what the child feared all along, that people are going to become frustrated with them and potentially leave them. All of the things I mentioned above are difficult for parents too, of course. One of the hardest things for parents is that they usually had hoped and prayed for this child, finally had the child and were so excited, and then feel terribly saddened by the difficulty they are having with this child. Adoptive parents have a double dose of pain with infertility and the difficulty their child has later on. Another very hard thing for parents who have kids with attachment disorders is that the parents get pushed and pulled by the child more than anyone else does. They have been hurt by relationships in the past and assume that all relationships will end, so they would rather be the one who ends the relationship than have it ended by the other person. What approaches have you found to be most helpful in working attachment disorders? One of the most helpful things to teach kids and families is a new way of doing relationships. When there is a break in a relationships (and there are many), there needs to be a repair. Connection – Break – Repair. This model teaches the child that relationships are going to be damaged at times, but it doesn’t mean that all is lost. They can work through the relationship by apologizing and making any other necessary repairs and then moving on. This also helps the parents because they learn that there will be breaks, but that the whole family can move past them. Helping an adolescent establish her identity as a human being with strengths, talents, and people who love her is also helpful because many kids with attachment struggles view themselves as “broken,” “not good enough,” “unlovable,” “replaceable,” etc. I’ve also had parents tell their adopted children what they would have said at their child’s birth had they been there. This imaginative, heart-based exercise has been really healing for both children and parents. Helping an adolescent establish her identity as a human being with strengths, talents, and people who love her is also helpful because many kids with attachment struggles view themselves as “broken,” “not good enough,” “unlovable,” “replaceable,” etc. We work with kids to identify this deep negative belief they have about themselves (core issue), work through the pain of it, and then help them establish a deep positive belief about themselves (core meaning). We help them learn to believe the core meaning more than the core issue. A child may choose to share this deeply emotional process during family therapy. How can parents be a part of their child’s healing? Several of the things listed above relate to this. Parents can also journal for their children. Some examples of this journaling would be: how the parents felt the first time they saw their child; what they did during their first week of life; how they felt when they found out they would be able to adopt; how much they loved their child instantly; that the child’s worth was never dependent on their behavior – that the child has inherent worth. This would be especially helpful if the child is shut down and unwilling to talk. It gives her something that is tangible, that she can read over and over again and that is reassuring. Parents can make scrapbooks for their children documenting their time together – this shows love and dedication; it’s another tangible reminder that the parents have always been there for their child. Home videos would work this way as well. Despite the pain and difficulty many of our parents have experienced with their child, their love turns out to be the most powerful resource we have in the therapeutic process. We work to empower parents to express this love in increasingly powerful and effective ways, and the results can be profound. Parents can make scrapbooks for their children documenting their time together – this shows love and dedication.